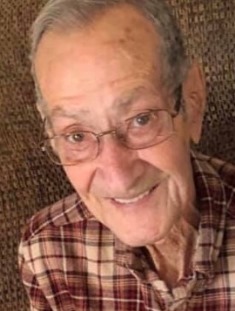 Obituary for Mr. Ronald G. Batson | Hinchliff-Pearson-West, Inc.
Ronald G. Batson, 88 of Abingdon, passed away at 9:05 p.m. Tuesday, January 29, 2019 at OSF St. Mary Medical Center in Galesburg with his family at his side. He was born November 13, 1930 in Trenton, Missouri, the son of Charles and Dora Ellen (McCullough) Batson. He married B. Joanne Stockham on September 3, 1954 at the Abingdon Christian Church. Ron is survived by his loving wife of 64 years, Joanne; four daughters, Kimberly Robinson, Terri (and Dave) Way, Cindy (and Rick) Cozadd, and Roxanne (and Dave McCune) Hawk, all of Abingdon; seven grandchildren, Angie Craig, Christopher Heiser, Kelly (and Kurt) Norris, Anthony (and Cindy) Way, Amy (and Gary) Kalas, Amanda Hagerty, and Tara Hawk, 14 great-grandchildren and one great-great-grandson; two brothers, Chuck (and Linda) Batson of rural Abingdon and Ken (and Louise) Batson of Little Swan Lake, Avon; four sisters, Betty Gordon, Shirley Blodgett, and Mary Jo Russo, all of Abingdon, and Emma Lou “Patsy” (and Glenn) Lambert of Fayetteville, Arkansas. He was preceded in death by his parents; one grandson, Bradley Cozadd; one grandson-in-law, Tom Craig; and three brothers, Joseph “Art” Batson, Harry Batson, and Robert Batson. Ron attended Avon schools. He was an Army veteran and member of the Harry E. Wiles American Legion Post #381 in Abingdon. He worked at the American Sanitary Company in Abingdon for 25 years, for Skinner Construction and later at Briggs Manufacturing in Abingdon, where he retired from in 1994. His hobbies included taking great care of his yard, riding around town with his pup to check on his girls, tinkering and fixing anything that needed fixing, and helping his family. He enjoyed reading western books. Graveside service with military rites will be held at 11 a.m. Monday, February 4, 2019 at the Abingdon Cemetery. Rev. Marty Smith will officiate. Visitation will be held from 2 p.m. to 4 p.m. Sunday at the Hinchliff-Pearson-West Funeral Directors and Cremation Services Abingdon Chapel. Memorials may be made to the John Mosser Library. Online condolences may be made at www.h-p-w.com.